Mountain Khakis is about way more than a hill and some pants. 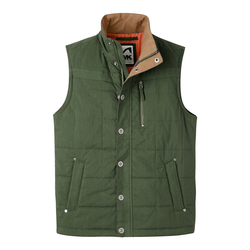 It is not simply their goal to be the greatest mountain-inspired lifestyle-clothing brand. Beyond everything, it is the mission of Mountain Khakis to unlock that adventurous soul that exists inside each and every one of us. Nature calls to our wild hearts, begging us to live authentically by breaking free from the bonds of modern society, and it is Mountain Khakis that provides the hammer for all to shatter their shackles. Specifically designed for the outdoor enthusiast, Mountain Khakis creates the clothing to comfortably submerse you into the wild. What began as a casual conversation tucked away inside the Shady Lady Saloon in Wyoming’s Jackson Hole, eventually became one rugged reality. Founded in 2003, Mountain Khakis swiftly emerged as a common choice for those who get around by private jet, or by those who stick out their thumb. That pristine combination of style and performance is what makes the apparel suitable for any encounter, whether it be at a snowy summit, deep within a canyon, or around the urban jungle. Mountain Khakis is a brand that began as, and continues to be, the catalyst for igniting freedom and adventure. 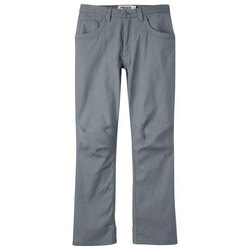 The Granite Creek Pants from Mountain Khakis is a symbol of their commitment to highly functional clothing. Stacked with 50+ UV protection and an unlimited zest for the unpredictable, these pants are prepared for any situation you encounter. Some may claim that they even have gills, because they deal with water so well. The truth is, The Granit Creak Pants actually pack incredible breathable properties that lead to quick-drying powers so you are never hampered by dampness or moisture of any amount. Reinforced to take control of the most wicked conditions, you will never cease to get your amazement on in the Granite Creek Pants. Most people use their utility room for laundry or ironing, but true lovers of the outdoors use it to keep all their pairs of Mountain Khakis Alpine Utility Pants. Guaranteed to be your most faithful pants, these high quality leg huggers rock a double-weave approach that performs like no other in adverse conditions. The custom cotton canvas allows you to rise above rugged terrain while also having the option of cleaning up and taking on life’s city challenges. 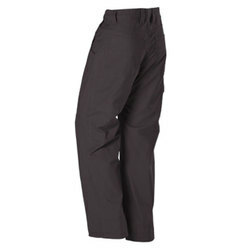 Additional durability has been installed in high wear areas so that the Alpine Utility Pants can keep on doing you a solid for a good long while. In the skimpier version of the Mountain Khakis Alpine line you can show a bit more leg. The Utility Shorts are perfect for warmer weather when you still need some intense performance from your lower half. Rugged canvas materials deliver protection against the most outrageous obstacles, yet a cottony soft fit for unmatched comfort. Angle-access cargo pockets, complete with Velcro Tabs, give you a pristine place to stash your essentials. When it comes to locking in an unparalleled experience in the outdoors, make sure you get into some Mountain Khakis.